Starting next July, sewer rates for residents within the Richmond Municipal Sewer District will go up 5 percent annually until July 2014. The rate increase will affect about half of Richmond residents, including more than 16,000 single-family residential units and approximately 2,000 multifamily residential units and 2,000 commercial units. The rate fees for the Richmond Municipal Sewer District started climbing in 2000 and haven’t stopped ever since. In 2000, the annual fee for a single unit residence was $195. Today it is $506. With the fee increase it will be $633 in the year 2014. Chad Davisson, city of Richmond’s wastewater manager, said that the city needed to increase the rates because the sewer system is so old. Richmond’s Water Pollution Control Plant at 601 Canal Boulevard was built in 1953 and the pipes are 60 to 90 years old. Much of the city’s infrastructure is at the end of its service life; that’s the cause of sewer spills into the bay, he said. According Davisson, in 2009 there were 22 spills—a total of nearly 2.2 million gallons. So far in 2010 there have been 36 spills, a total of 12.3 million gallons. Davisson said that the rate increases since 1999 have been to pay for projects to fix the Richmond Municipal Sewer District plant and the city’s sewer collection system. Since 1999, the city has spent approximately $51 million on different projects related to the upgrade of the collection system, plant or its administration. At least $11 million of that has been spent on plant improvements. Richmond’s Water Pollution Control Plant at 601 Canal Boulevard was built in 1953. Photo by Veronica Moscoso. The upcoming rate increase, however, will help to fix only the collection system, not the plant, said Davisson. The increase is to pay a $30 million bond to rebuild the infrastructure. The upgrades are mandated as part of a 2006 settlement between the city of Richmond and Baykeeper, a nonprofit environmental watchdog based in San Francisco. In 2006, Baykeeper filed a lawsuit stating that the City of Richmond had been spilling hundreds of thousands of gallons of raw sewage into the bay every year. The city agreed to reduce spills 90 percent by the year 2014. Davisson said that having an old collection system that needs to be fixed is a problem that affects many Bay Area cities. “Discovery Bay, San Carlos, Vacaville are raising their sewer rates,” he said, citing a few examples. In fact, this year, Baykeeper sued Alameda, Albany, Berkeley, Emeryville, Oakland, Piedmont, and the Stege Sanitary District (which serves Kensington, El Cerrito and part of the Richmond Annex) for illegal sewage spills. 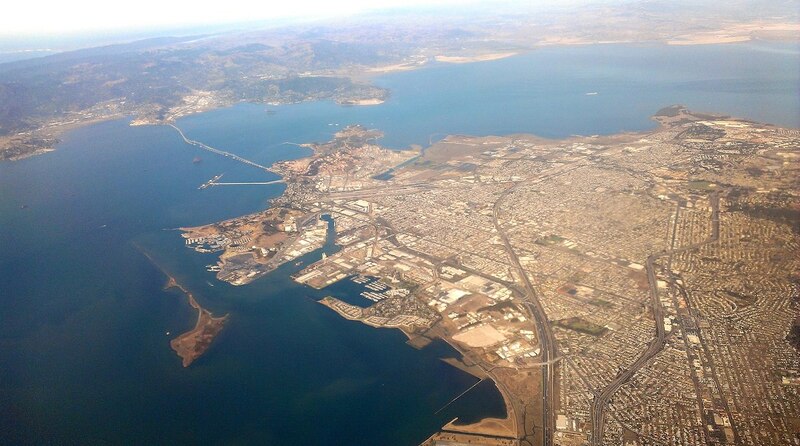 The nonprofit alleged that these cities are accountable for leaky sewage collection systems that inundate the East Bay Municipal Utility District (EBMUD) treatment plant with massive amounts of rainwater and sewage and cause major spills in the bay. While EBMUD is responsible for wastewater treatment, it does not own, and therefore cannot repair, the cities’ collection systems. Some residents blame Richmond’s recent sewer rate hikes on Veolia, the French multinational that contracted with the city of Richmond to take over the treatment plant in 2002. Two years later the city contracted it to run the collection system as well. Charles Smith, a retired Richmond resident who worked for EBMUD for 25 years as a wastewater operator, is the Richmond plant’s most outspoken critic. He said that instead of contracting with Veolia, the city should have accepted EBMUD’s proposal eight years ago, which was to close the Richmond plant and build a pipeline—at no extra cost—that would take the sewage to their plant in Oakland. Smith said that if the city had contracted with EBMUD on the first place, then it wouldn’t have to charge residents to fix an obsolete plant. But Davisson says rate hikes are caused by the need for repairs and have nothing to do with the company’s profits. “Sewer rates increases don’t go in Veolias’s pocket,” he said. According to Davisson, Veolia’s contract with the city is a fixed fee contract and the increased fees go to pay for the projects, not to Veolia. Davisson said that the city is considering the possibility of working with EBMUD in the future. However, based on a study by Carollo Engineers, building a pipeline from Richmond to the EBMUD plant in Oakland could cost as much as $95 million. That is more expensive than making improvements to the current treatment plant, said Davison. EBMUD engineer Ben Horenstein, who headed the bidding for EBMUD eight years ago and is now the utility’s manager of wastewater environmental services, said that while the $95 million estimate for EBMUD to build the pipeline “seems fairly high to me,” things have changed since 2002. “I don’t know if EBMUD can replicate the proposal we made 10 years ago about not charging for the pipeline. Those are decisions that will have to be made by our board,” Horenstein said. Horenstein said that EBMUD would have to do an engineering analysis to see whether they are even able to handle additional flows from Richmond to the EBMUD plant.